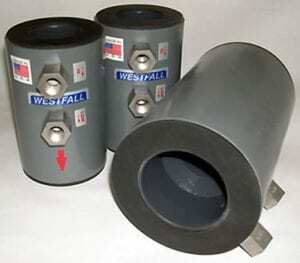 Westfall specializes in high-performance drop-in motionless mixers used in pipeline and blending systems for the water treatment, wastewater treatment, oil, gas and biofuels, chemical, food and beverage, aerospace and insulation industries. Each of our static mixers is designed and custom manufactured to solve a customer problem, including retrofits, infrastructure upgrades and smart, next generation, applications. While Westfall specializes in oversize mixers, the recent addition of 3D printing to Westfall’s manufacturing ability means that smaller Static Mixers, from 3/8″ to 5″ (0.95cm – 12.7cm), now receive more rapid cost-effective delivery. Independent Finite Life Analysis research predicts that Westfall Static Mixers will deliver energy efficient, high performance mixing (so less additive is required) for more than 40 years with little to no maintenance. That’s why Westfall Static Mixers have increasingly become the mixer of choice for fluid dynamics engineers in municipalities and industries around the world. 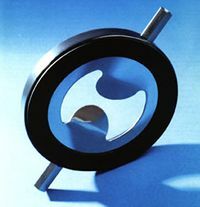 All our products can be fabricated in a range of sizes and materials to meet your unique specifications. If you don’t see what you want, just ask. Minimal space? Our new breed of High Shear Static Mixers are low maintenance, low cost, high performing and easily drop into short lay lengths. They are an ideal solution for infrastructure upgrades. Minimal power? 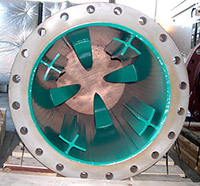 Our patented vane mixing designs can be used in a Flow Conditioner, a Closed Pipe or an Open Channel Mixer and require 2 – 4 times less power than other solutions. 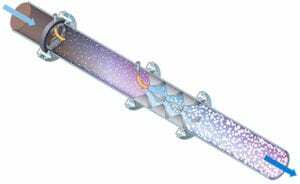 No room for serpentine piping? Westfall’s solution takes minimal space to combine high shear coagulant action with gentle low headloss polymer flocculation. Westfall has decades of experience manufacturing custom Venturi Metering Tubes & Diatomaceous Earth filters — now global standards in water treatment installations.